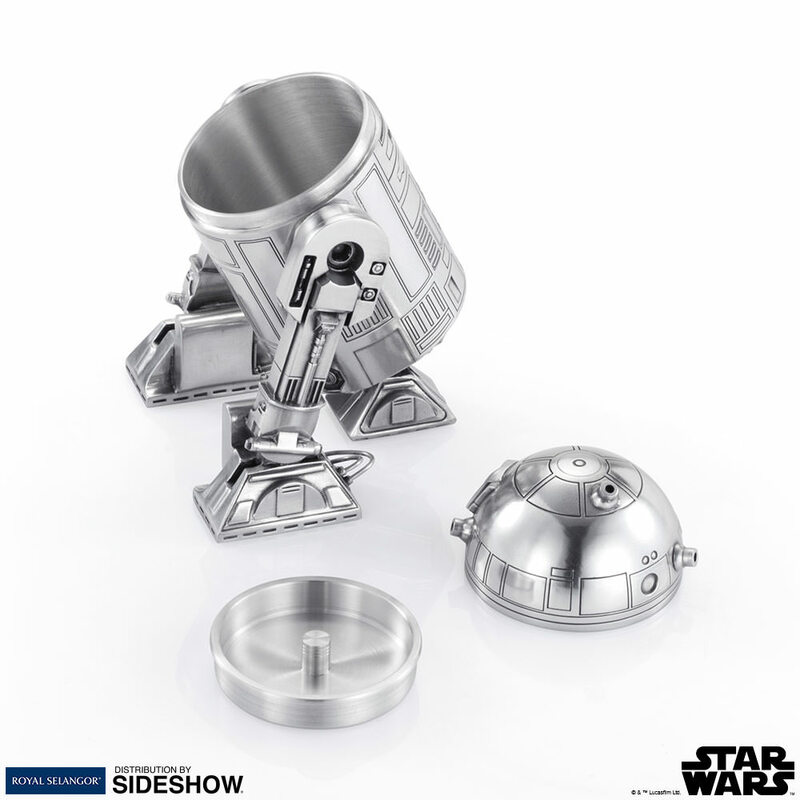 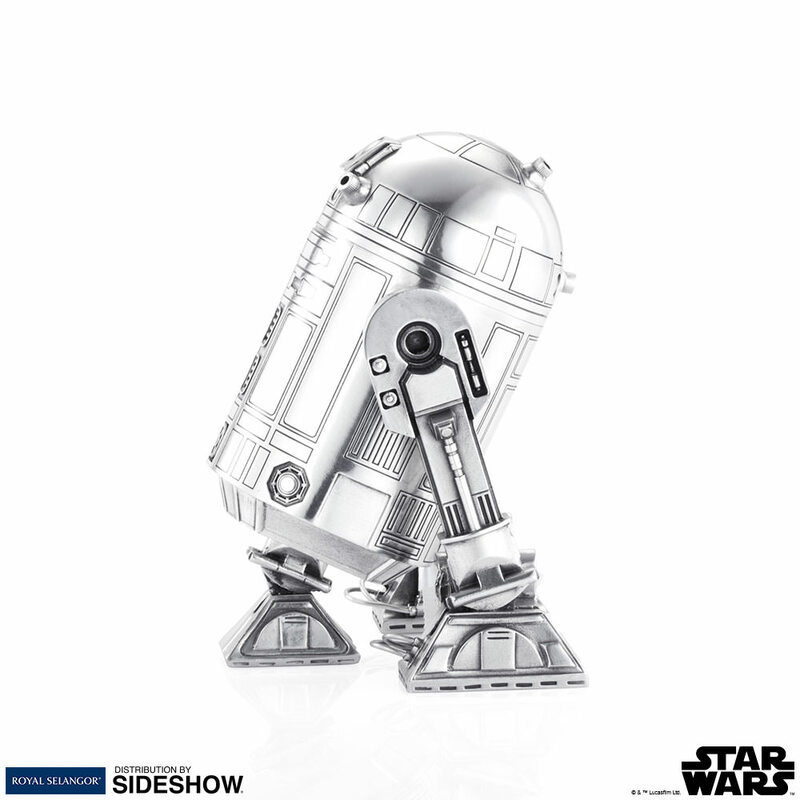 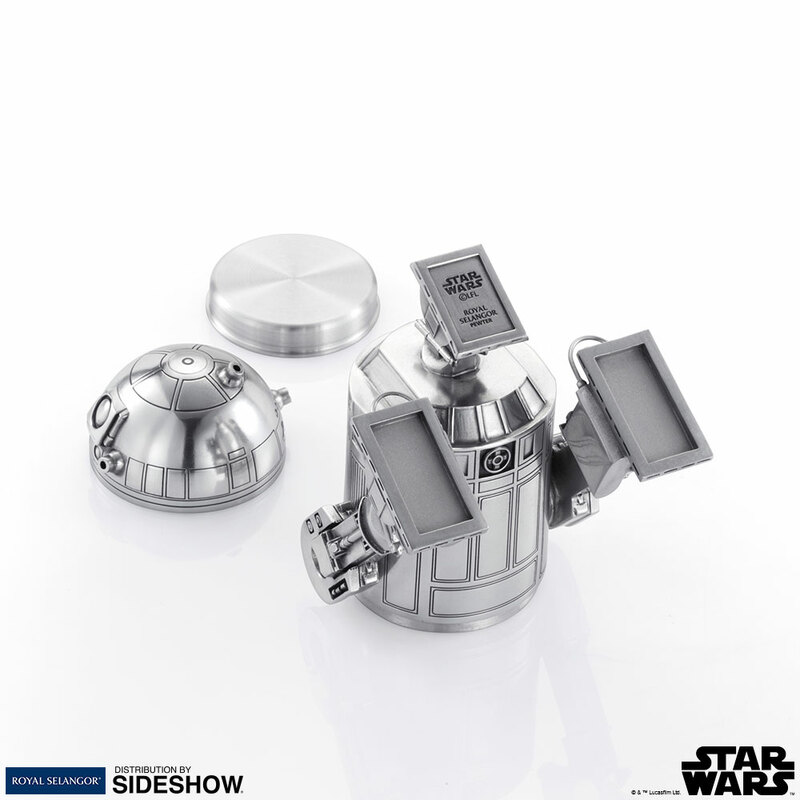 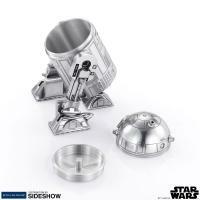 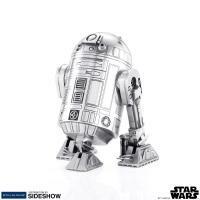 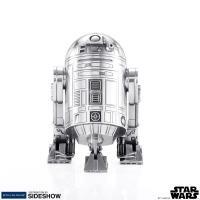 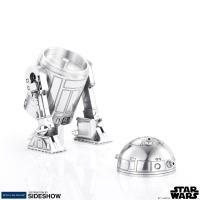 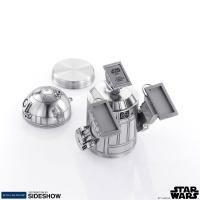 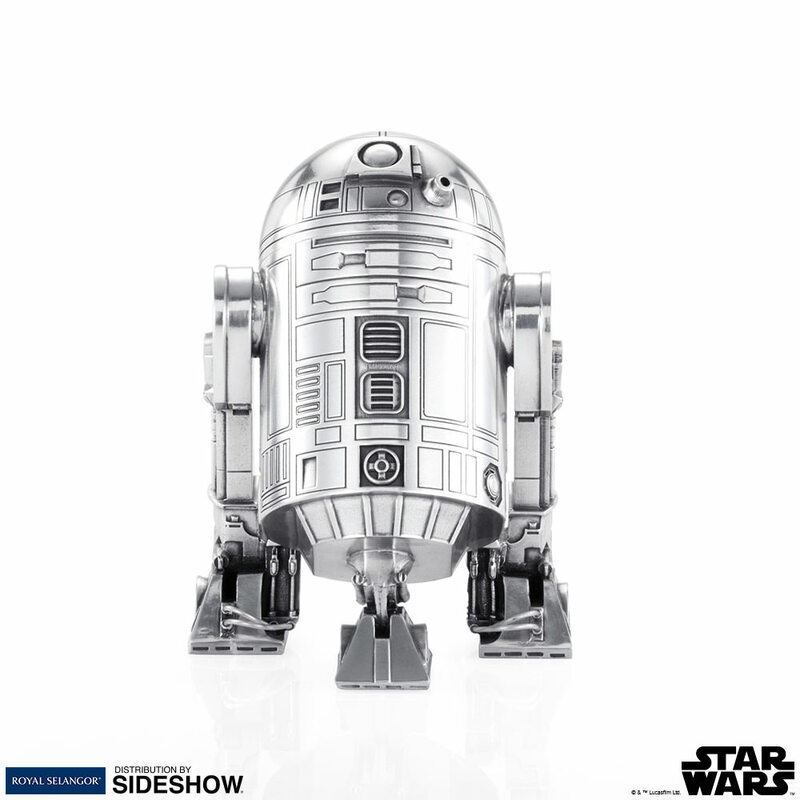 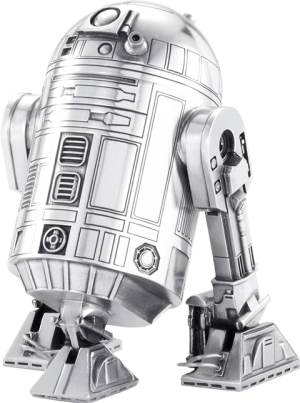 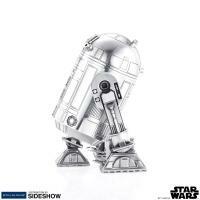 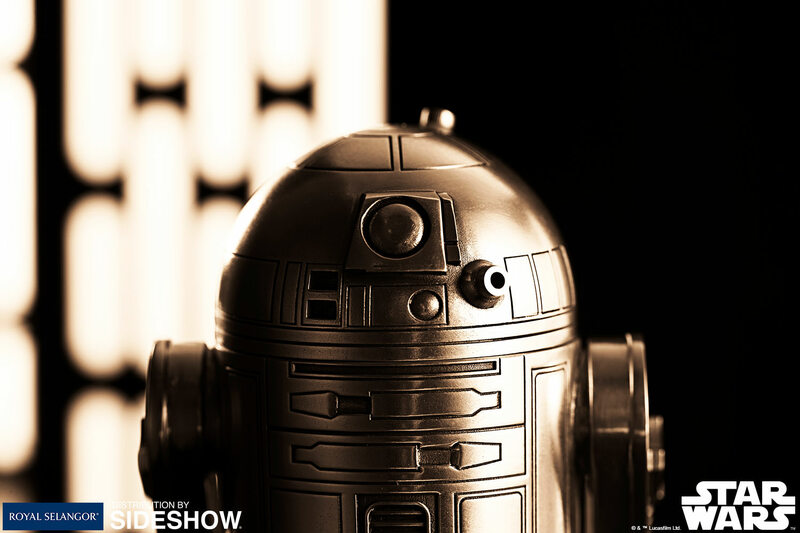 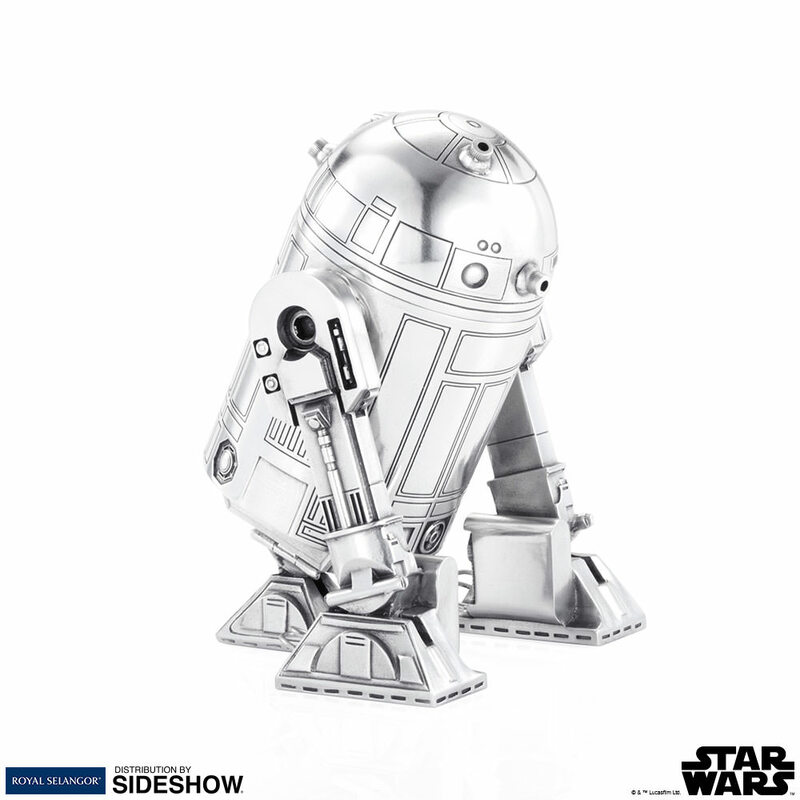 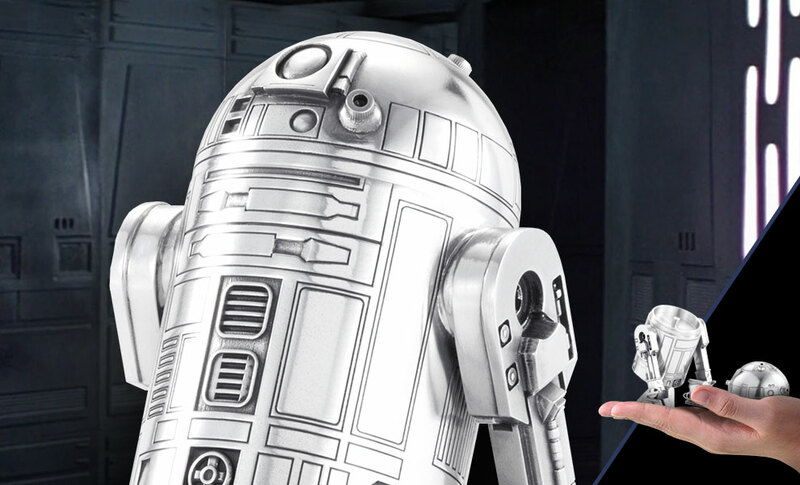 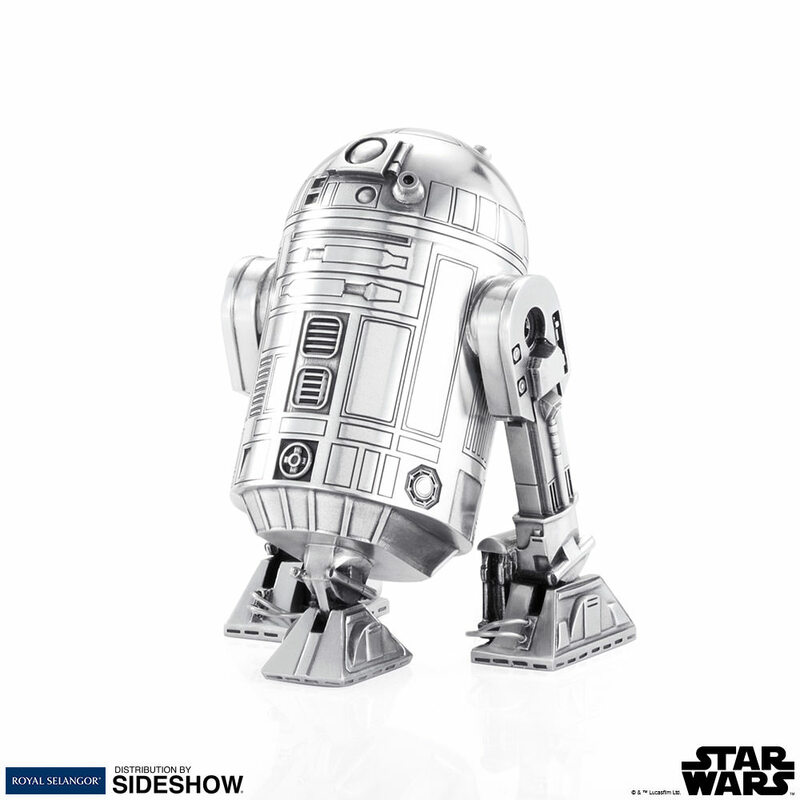 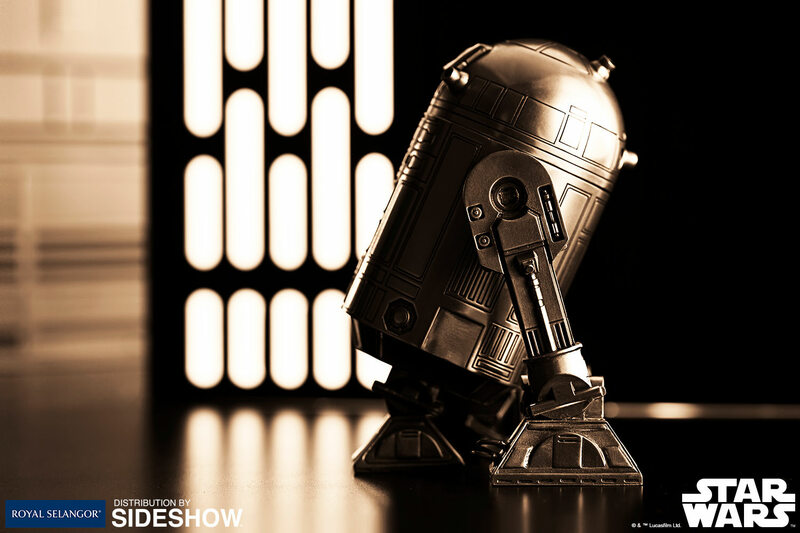 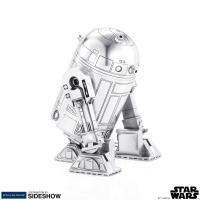 The R2-D2 Star Wars collectible canister captures the spunky droid who has served a multitude of masters over its lifetime. 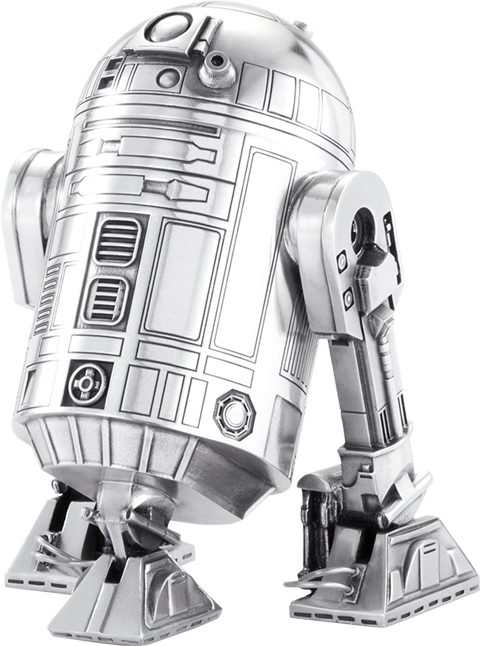 R2-D2 had served Padmé Amidala, Anakin Skywalker, and Luke Skywalker and has shown great bravery in rescuing his masters and their friends from peril. 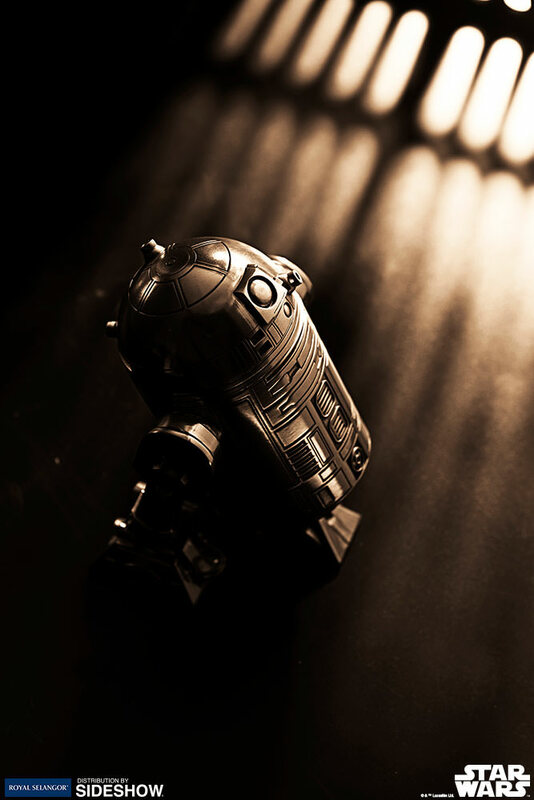 A starship mechanic and fighter pilot's assistant, the droid formed an unlikely but enduring friendship with the fussy protocol droid C-3PO.